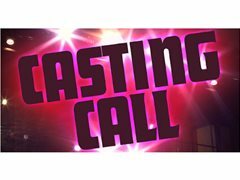 ITV STUDIOS ARE LOOKING FOR FUN PERSONALITIES TO TAKE PART IN A RETURNING REALITY SHOW - MUST HAVE REAL/TRUE STORIES. We have last minute filming slots TOMORROW (Wednesday) in Manchester. Accommodation and Travel provided. ITV STUDIOS CAN HELP - Up to £5000 can be won!